Note: If your trailer is designed such that the entire weight of the boat rests on rollers or a support beam along the keel, we do not recommend installing the KeelGuard. If the rollers can be lowered or the side bunks raised to clear the rollers, the KeelGuard adhesive bond will not be compromised. 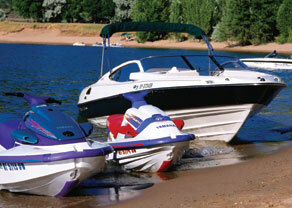 Application may not be suitable for some aluminum boats with reinforced rib design. Please contact us for your particular application. 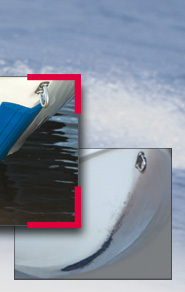 * Newer generation watercraft with exotic hull designs, make attaching a keel protector very challenging. The complex curves and contours make it almost impossible to achieve a full-surface bond. We do not recommend installing nor can we warrant these type of applications. 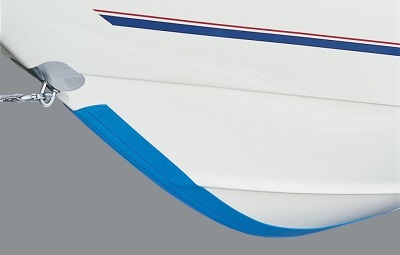 Older style hulls that are rounded or V shaped, work very well with the KeelGuard.